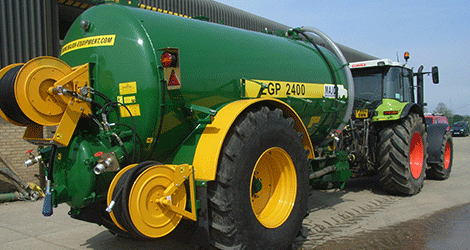 The Pinden Group is a specialist waste management company processing a wide range of hazardous and non-toxic materials. The company operates an 80 acre quarry site in Dartford, Kent. 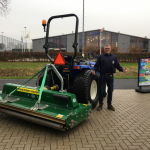 Dust suppression is just one of the issues that Terry Bishop and his team at the Pinden Group face on a daily basis. 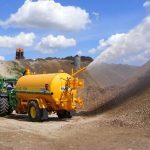 Their existing dust suppression unit was becoming unreliable and a larger capacity unit was required to cope with an increased workload including aggregate processing and quarrying, waste management, road cleaning and dust suppression on internal roads, rock faces and earth storage areas. Water Spinner Dust Suppressor. 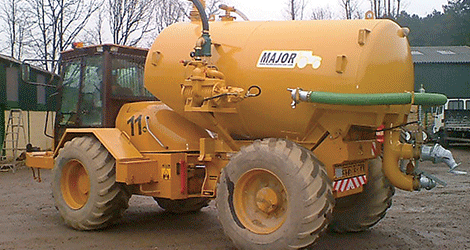 This unit uses minimal quantities of water without compromising dust control levels. It eliminates flooding caused by traditional splash plate systems. 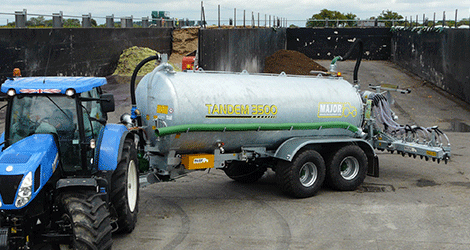 This unit has significantly reduced the Pinden Groups water costs. 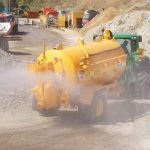 Rain Gun Water Cannon: The Pinden Group has four quarry sites all at various levels. The rain gun water cannon is capable of accessing and damping down earth storage clamps up to 220ft high. Commerical axle rated to 100km/hr with suspension. 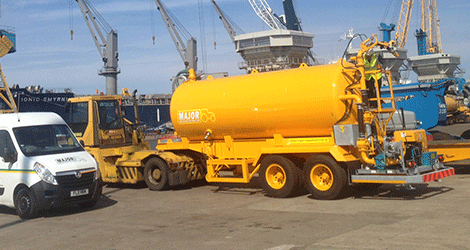 This allows the tanker to access steep gradients safely while fully loaded. Wash down facility. 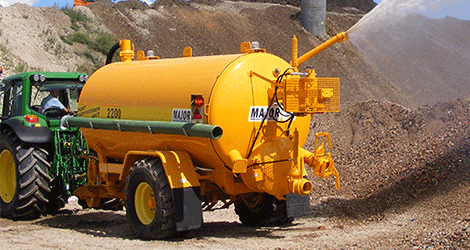 This is used for washing machinery and weigh bridges.